This product is available in Snapdeal, Flipkart, Tatacliq, Ebay, Infibeam. 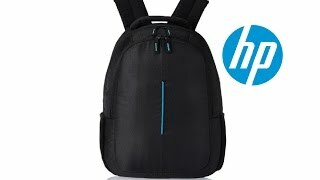 At snapdeal.com you can purchase HP Black Laptop Bags for only Rs. 399, which is 43% less than the cost in Tatacliq (Rs. 699). The lowest price of HP 15 Inch Laptop Backpack (Black) was obtained on March 31, 2019 7:38 am. I felt totally annoyed seeing the CHEAP quality of this. Pls do not order this. Its not original. Has been more than a year .Still in its best condition.Ideal for laptop with medium and medium plus size.You can keep charger , laptop along with reasonable amount things in the bag. It was damaged within a month. Its a Money wasting deal. Can use as an alternative sometimes. Bag started tearing off in 2 and half months, had to get it sewn for 100 rs. Bought for 500 rs but, totally spent 600 rs. Better buy from market, offline. Purchased this laptop bag for rupees 502 and it is good. Looks and quality both are nice. Go for it guys.Always buy from trusted seller otherwise you might get duplicate bag.